SsangYong Tivoli XLV 2017 is designed to offer a multi-role, multi-function solution to a wide range of customers. 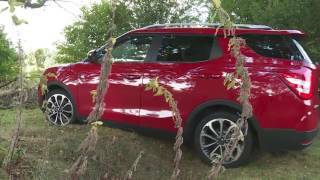 The SsangYong now brings the versatility with the model to the global market with the success of the first SUV. The brand has been praised universally for meeting the wide range of customer requirements. The SsangYong Tivoli and Tivoli XLV are manufactured in South Korea by SsangYong Motor, which is 73 per cent owned by the Indian engineering conglomerate Mahindra & Mahindra. 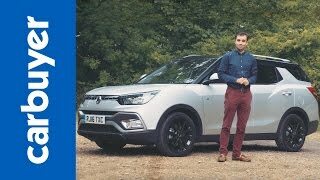 Let us have a close look at the reviews of SsangYong Tivoli XLV 2017 and get to know more about the features it contains. The interior of the SsangYong Tivoli XLV 2017 is generous. The sitting positions are well versed and are comfortable. The second row of seats can be folded flat for the additional carrying capacity expected of a lifestyle SUV. The cabin provides the choice of natural beige, black and red deluxe cloth or luxurious real leather. The red leather interior gives a sporty, confident look, and includes premium quality red leather for the seats, door trim and centre console, and harmoniously matches with the sports-style D-cut steering wheel and Titanium and red accented instrument panel. There is a ergonomic designed D-shaped sports steering wheel with optimized grip and connection to the car, while the leather covering gives a premium, tactile feel and is heated to warm the driver's hands in winter. In all, SsangYong Tivoli XLV 2017 provides deluxe interior with large, light, and airy accommodation for its passengers. 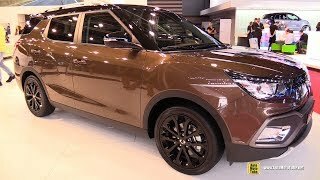 The exterior of SsangYong Tivoli XLV 2017 is dynamic and sporty. The styling of the SsangYong Tivoli XLV is centred on the subtle yet dynamic character lines that flow rhythmically throughout the body. At the front, its shoulder wing design resembles the spread wings of an eagle, and neatly integrates between the radiator grille and headlights, displaying a slim yet wide look. The black D pillar in the brand’s cars is another hallmark. The XLV also provides class-leading space for both passengers and their luggage for greater practicality. The roofline gives the car a low and sporty look, while the angled black A pillars afford a wide and open appearance in profile. The car comes with a choice of eight exciting exterior colours with the addition of two-tone body and roof colors. SsangYong Tivoli XLV 2017 gives the sporty and confident look. SsangYong Tivoli XLV 2017 comes powered with the Euro 6 compliant 1.6 litre petrol or 1.6 litre diesel engine. It delivers up to 126 hp/6,000rpm max power with 160 Nm/4,600 rpm max torque, offering optimized performance for both urban and motorway driving with excellent NVH (noise, vibration & harshness) characteristics. The 1.6 litre diesel engine achieves a CO2 emission level of just 117g/km. 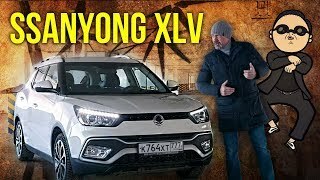 The top speed and the sprint capability of the SsangYong Tivoli XLV 2017 are still not shared.